We are developing a multimodal deliveries service with decentralized control system of transportation, document flow and payments. IMMLA ecosystem employs: (1) Dutch auction of carriers to offer the best possible prices; (2) Monitoring of cargo damage during transit and time of delivery, GPS-cargo monitoring and insurance to make delivery safe and transparent. The trust-sensitive parts of IMMLA service are based on smart contracts working on Ethereum blockchain. It is designed to reduce or even eliminate the risk of unfair business practices and/or non-performance of the delivery contract. We are positive that the spread of high-speed Internet on the transport routes, and the use of blockchain technology have reached the optimum level for IMMLA to be successfully launched. The decentralized system guarantees the payment to the carrier regardless of IMMLA’s financial condition, the same way it guarantees the delivery or insurance payment to the cargo owner. The terms of shipment, the current position of the cargo, its condition at the time of transfer of responsibility between carriers are recorded through the blockchain, and can not be altered by any of the parties. The Dutch auction of carriers optimizes transportation costs. Use of IMMLA will reduce the number of idle trips. A cargo owner with high rating within the system gets credit and saves its current assets. User-friendly mobile and desktop interface. Fully automated transportation and workflow, no need for third-party services; delivery options at your disposal; the service tracks the cargo online, so you always know where it is geographically. With an end-to-end electronic bill of lading, all the practices are able to see the full transportation history. IMMLa has successfully sold more than 90% of tokens in the pre-sale and raised more than 2500 ETH. The company plans to expand the range of provided services and introduce the sea container transportationos. The service will be available in all the CIS countries. IMMLA will connect the railway module. The latter will make the application fully international. Customer support services will open on the newly formed key hubs. Europe, the CIS and China markets will be fully covered. 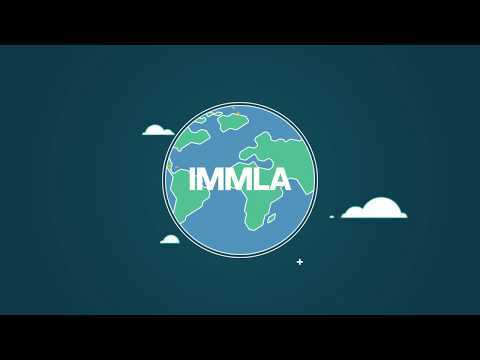 By 2022 IMMLA will expand to Asia. By 2023 the platform will be used globally.